WSOP.com is once again proving they are the #1 regulated online poker room in the United States with their generous “Got Your Back” promotion this December. Nobody likes to lose at online poker, but the reality is that losses are inevitable. However if you play on WSOP.com NJ during the month of December, those losses don’t have to hurt as bad. Take part in WSOP.com’s “Got Your Back” promotion and net losers can qualify for a chance to win $25 in bonus money. From now through January 2nd, opt-in to the “Got Your Back” promotion and regardless of whether you win or lose, you can earn an entry for a prize drawing. The promotion is split into two periods, December 6-19 and December 20 through January 2nd. Just opt-in during either or both of those periods, deposit at least $50 and play in cash games at stakes from .01-02 to .10-.20. Rake at least 50 hands and if you finish as a net loser during that period, you receive an entry into a drawing for $25 cash bonuses. There will be 100 prizes distributed to losing players during the period. This promotion isn’t exclusive to losing players. Finish with a net profit during either or both periods and you will be entered into a drawing for free $1 tournament tickets. Basically, it is a lose/win-win situation. Please note that you must opt-in for both promotional periods in order to receive credit for participation. Also, cash games at stakes above .10/.20 are not eligible for this promotion. Get more information about NJ’s online casinos and poker rooms. If you’ve never played at WSOP.com NJ, now is a great time to start. New players that register for their free WSOP.com account and deposit at least $10 will receive a generous first deposit bonus of 100% up to the first $400 that they deposit. This bonus is clearable in $10 increments and release in chunks of $10 for every 100 Action Player Points earned. If a 100% deposit match isn’t enough, WSOP.com gives you seven more reasons to make a deposit. Players that make their first deposit on WSOP.com will receive seven tickets for the $100 Daily Welcome Bonus Freeroll. These events run every day at 7 PM and players start with 2,000 chips. Prizes are awarded to the top 20% of the field and each winner receives cash that can be used for any game on WSOP.com. Players can pick and choose which events they play. WSOP.com is the #1 regulated online poker room in America. Thanks to their branding with the World Series of Poker, WSOP.com has been able to thrive in New Jersey and Nevada and is expected to be the premier online poker room in other states once online gambling expands. 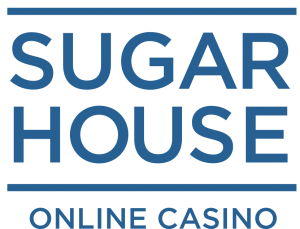 Signup for your free account today to take advantage of the generous deposit bonus and remember, WSOP.com has “Got Your Back” as you play cash games this holiday season. The New Jersey DGE is proposing three new online gambling rules for 2016: involving celebrity players, location of servers, and social gaming funding. The New Jersey online gambling industry is one of the most innovative in the United States. Regulators are constantly developing strategies to improve their bottom line of casinos and that is evident with three proposed rule changes that are schedule to be finalized sometime in early 2016. The Press of Atlantic City reported last week on the changes that will take place in 2016 and the one that’s received the most attention from the industry involves celebrity players. Online casinos would be allowed to pay celebrities to play peer-to-peer games like online poker as part of a promotional strategy. The rule allows casinos different options for paying these players, including treating them like shills. A shill for a live casino is a player that isn’t paid an actual fee but the money they wager is provided to them by the casino. The player acting as a shill can then keep any profits if they walk away a winner. A shill style relationship would probably be one employed for online poker pros sponsored by online casinos where we could see other celebrities commanding a fee. It is hard to see a member of the NJ Devils play on the site for a shill style deal. The report didn’t specify what details casinos will need to share with the public regarding these deals. Odds are that they will have to notify players that celebrities are paid to play on the site. Another rule proposed by the Division of Gaming Enforcement will give casinos some flexibility on where they host their servers. Presently, casinos are required to house their iGaming servers on-site. Under the new provision, iGaming servers can be housed in another location but only under certain conditions. The property must be owned or leased by the licensee, inaccessible to the general public, secure and designed to house the server equipment. The third rule that will go into effect in February involves funding social games with online gambling funds. Player will be allowed to use money from their online gambling accounts to play social online games, including card games and slots. Of course, these games do not pay out any type of cash prize and are done for enjoyment and social interaction. Operators must provide a conspicuous notice that these games are not regulated by the DGE. If this sounds like a silly rule, consider the fact that Billions have been spent in the last few years in social games on Facebook and other sites. Players like to play for enjoyment, so if they want to use their money for that cause, why not let them. The three rules are presently in their public comment period where citizens can voice issues, concerns, etc. This period ends on February 6 and the DGE plans to write the rules to the state register after this period. Poker professional Phil Ivey has been given permission to appeal the decision of the London High Court to take $12.4 million in winnings after edge-sorting. One of poker’s biggest stars will get another chance to recoup $12.4 million in winnings that were withheld from a London casino. Ten-time WSOP bracelet winner Phil Ivey has been given permission to appeal a London High Court ruling that marked him as a cheater. Last year, Ivey lost his case against Crockford’s Casino and the casino was allowed to keep the $12.4 million in earnings that Ivey reportedly won via edge sorting in Punto Banco. The appeal in this case could have ramifications on a similar case awaiting trial in Atlantic City. On Saturday, the Daily Mail reported that Ivey was given permission to appeal the 2014 ruling that Ivey cheated at Punto Banco, allowing Crockford’s Casino to withhold Ivey’s winnings of £7.8 million ($12.4 million US). Ivey was given permission to appeal the case after a judge ruled that his case as “a real prospect of success,” and that it raised an important question regarding the law. According to the report, Ivey’s lawyers plan to argue that cheating involves some type of dishonesty and that Ivey was never dishonest. Ivey admitted to using edge-sorting, a technique where one can determine the value of cards via flaws on the deck, in order to win at Punto Banco. The Crockford’s case is not the only one hanging over Ivey’s head. Ivey is also facing a lawsuit from the Borgata in Atlantic City over $9.6 million in Baccarat winnings from 2012. Ivey was paid those winnings and the casino is seeking restitution after determining that Ivey used edge-sorting there as well. Lawyers for the Borgata have asked the judge to consider the ruling from the Crockford’s case, meaning that the appeal could make a difference in whether Ivey has to repay the Borgata. Many feel that Ivey was merely an advantage player at the table and that his techniques do not equate to gambling. Others look at the lengths Ivey went to pull off the edge sorting and believe that it is on par with gambling. Regardless of which side you sit on, the matter will receive a ruling soon. Ivey is to appear in the Appeal Court on December 10. Don’t be surprised to see the Borgata drop their case against Ivey should Ivey prove successful. Glenn Straub is playing with fire as the Atlantic City Council President is fed up and wants to reopen the Revel. A power deal has been reached though. Glenn Straub announced a major “power play” on Tuesday, one that will finally resolve the ongoing litigation between Polo North and ACR Energy Partners. Straub revealed on Tuesday that he was buying Revel’s former power plant, effectively ending a standoff between the companies. He will then use a separate provider to power the former Revel. This news comes at the exact right time for the former casino as the Atlantic City Council President may be planning to move forward with a measure to condemn the Revel. According to the Press of Atlantic City, Straub and ACR Energy Partners will repay the bondholders and then divide assets. Straub is putting up $30 million and will receive ownership of the plant. ACR Energy Partners will put up $15 million and retain certain equipment within the facility. The $45 million will be used to repay bondholders and resolve the three-way dispute that has drug on since Straub purchased the facility. ACR Energy Partners will retain their power generation equipment, meaning that Straub will have to power the building through another source. According to the NJ Herald, Straub will pay Atlantic City Electric and South Jersey Gas to power and heat the building. Reuben Kramer of the Press of Atlantic City tweeted that Straub will sue Stockton University for $30 million, the damages incurred when the University failed to provide power to Revel. The deal is expected to close in 7 to 10 days. Clearly fed up with the delays in redeveloping the Revel, AC Council President Frank Gilliam Jr announced on Tuesday that he plans to introduce a measure that would allow the city to “take a much more aggressive stance” in forcing Straub to redevelop the Revel. The Press of Atlantic City reports that the measure would name M&J at Melrose LLC at the official redeveloper of the South Inlet section, the area where the Revel is located. A redeveloper can partner with the city to condemn a property if needed. Straub claims to be looking to hire a casino operator to reopen a gambling operation within the Revel but other plans, including a water park, are still in the works. Revel does not have any plans to operate a NJ online gambling site such as those powered by competitors Resorts and Caesars. Straub has made many claims to the future of the Revel in the last year and a half. The only thing that seems consistent is that a portion of the casino will reopen for gambling but it will be just part of the property. New Jersey iGaming revenue is slightly up nearly across the whole board this month, with Resorts being the only one to dip. The increase may be short lived. New Jersey iGaming posted solid earnings in October with gains across the board and with most casinos enjoying increases in revenue month-over-month. Overall iGaming saw an overall increase of 6.9% from September with poker enjoying an 8% increase thanks to a bump from the Garden State Super Series and the 2015 WSOP Main Event. The New Jersey Division of Gaming Enforcement released figures for state iGaming late last week and the industry saw a 6.9% jump in revenue from September. Overall, the industry pulled in $12.8 million in October compared to $12.02 million the month before. The gain was actually attributed to online poker gains of 8% month-over-month. Online table games saw a jump of 6.9% month over month. Below is a breakdown of overall gaming figures for New Jersey’s online casinos. The only casino to see a dip in October was Resorts. This is the first time the casino has experienced a dip in revenues since launching in February. Odds are this is a temporary dip as the casino is expected to break the $1 million mark in monthly revenue by year’s end. Looking at annual figures, NJ iGaming is up 35.6% compared to October 2014. Last year, iGaming pulled in just $9.48 million. Comparing year-to-date figures for NJ iGaming, the overall industry is up 17.6% through October 2015. Last year, NJ iGaming pulled in just $103.4 million through October compared to $121.61 million so far in 2015. Those figures attribute for the now defunct Ultimate Gaming. 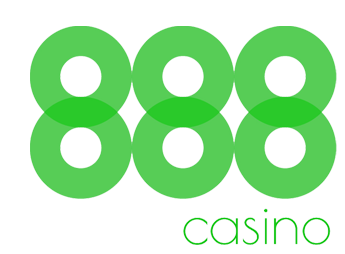 Remaining operators are up 23.8% this year despite sliding revenues from Caesars and Borgata. Caesars is presently down 7.8% on the year, pulling in just $26.8 million this year so far compared to $29.07 million last year through October. Borgata is almost running flat compared to last year. They are up only .7 of a percent with $37.6 million in earnings through October. They pulled in $37.32 million through October last year. Online poker pulled in a combined $1.91 million in October, up 8% from September but still down 15% year-over-year. Borgata brought in the majority of those earnings, up 14% for online poker in October. October’s boost is attributed to two things. First, the Garden State Super Series ran successfully in October, boosting online poker tournament numbers. Also, the buildup for the November Nine may have helped. With certain top-tier pros like Daniel Negreanu being featured regularly on ESPN broadcasts and regular ads on WSOP episodes, this could have brought in a little extra traffic. Unfortunately, these boosts may be short lived. While the November Nine did run through November 10, there are no tournament series running this month. Also, with the recent announcement that PokerStars may not launch until the first half of 2016, some players may just wait until next year to come back. A Pennsylvania iGaming bill is ready to be voted on by the state House, meaning that it is one step closer to being legalized. There is a lot of potential. You hear that New Jersey? That’s the sound of Pennsylvania beginning to catch up with you online. On Wednesday, the House Gaming Oversight Committee passed HB 649 by a margin of 18-8, meaning that the state will soon begin to vote on whether to regulate online poker and casino games. This move has been months in the making but likely expedited due to the current budget crisis in the state. Lawmakers are still working on a budget for 2016, one that is nearly five months overdue. There are some major benefits to proceeding with iGaming regulation, ones that could help resolve the budget deadlock the state is experiencing. Based on the current draft of HB 649, the state could see up to $100 million in licensing revenue up front. OnlinePokerReport broke down the figures regarding licensing fees and on the low end, the state can expect $64 to $88 million from casino licensing fees. Casinos must pay an $8 million fee to obtain a license. Significant vendors must pay $2 million for a license. The significant vendor fees could potentially push licensing revenue up to $100 million in year one. There’s quite a bit of overlap between New Jersey and Pennsylvania, most notably through Caesars. The company has lobbied aggressively to expand legal NJ online gambling to the Keystone State. Then there’s the revenue generated by iGaming in Year 1. OPR predicted between $121 and $129 million in first year revenue. Since casinos will be taxes at 14% of gross revenue, that would bring in another $18 million. Robert DellaFave believes that PA could bring in as much as $200 million during the first year, meaning that taxes would be in the neighborhood of $28 million. Keep in mind that these figures are based on the current draft of the bill and assuming that most casinos participate in online gambling. We can guarantee that the Bethlehem Sands will not participate due to being owned by Sheldon Adelson. How many of the state’s 12 casinos will participate will remain to be seen. Also, will PokerStars be permitted to operate in PA? The bill is devoid a bad actor clause, which is good for PokerStars, but regulators could still block their participation and a bad actor clause could always be added at some point during the legislative process. Another distinct possibility is that HB 649 will become part of the state budget bill that’s past due. It has reportedly been used as a negotiating tool already in talks and a potential $120 million in tax revenue is hard to ignore. If the bill is absorbed by the tax bill, that could present the best possible scenario for PA iGaming. Once the budget bill moves through both chambers and is passed by Gov. Wolf, iGaming would become legal and the process of drafting regulations and issuing licenses can begin. Keep in mind that nothing is in stone at the moment. Bills can change at a moment’s notice and negotiations can fall apart. That’s why we urge the people of PA to contact your local representatives and tell them you want them to support HB 649. The Poker Player’s Alliance recently upgraded their site to include an easy access portal to lawmakers. Just go to theppa.org and click on “Take Action” to begin.